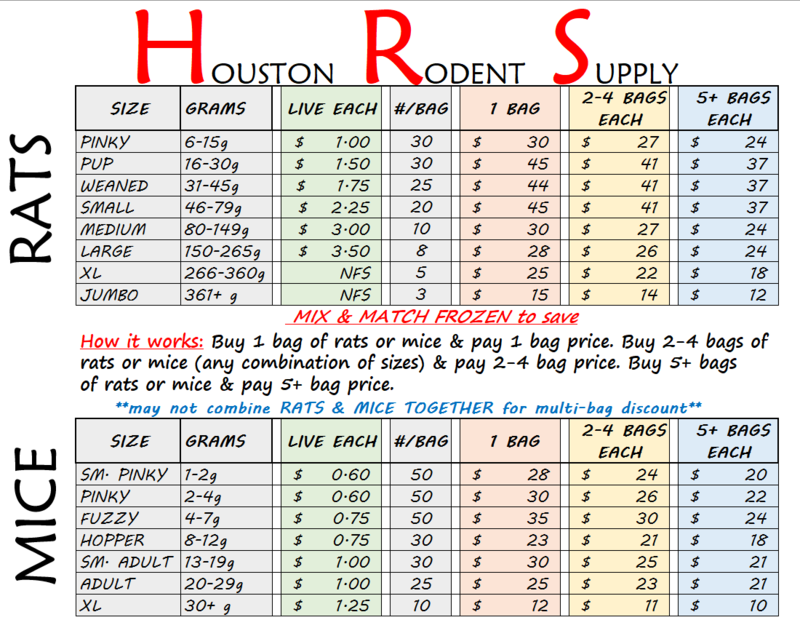 Live & Frozen rats and mice available for local pick up only - we do not ship. 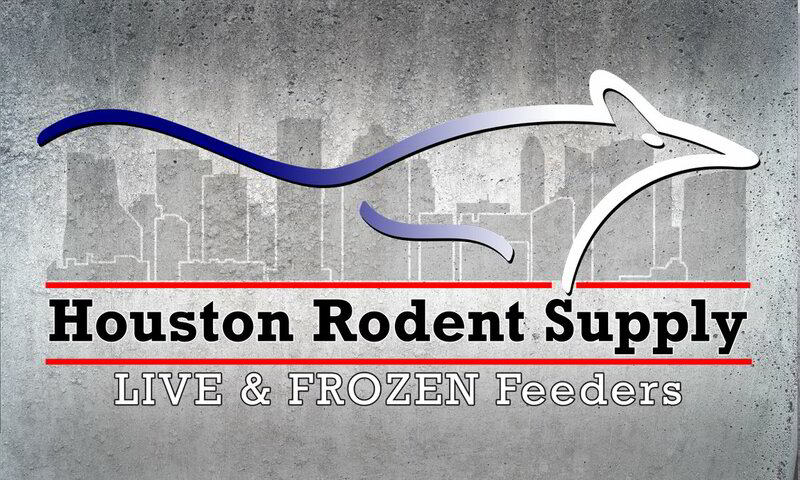 Q: Do you ship live or frozen rodents? A: No, not at this time. Sorry. Q: iFLY? Where is that? A: iFLY is an indoor skydiving place located near I-45 North & Woodlands Parkway in Spring/The Woodlands. Q: When can I pick up feeders? Please have your order in the day before you'd like to meet. A: The best way to ensure your order is seen is by sending me a text msg to 936-718-1149. Pease forgive any delay as I do work night shift. Q: What do you feed your rodents?